The Avalon Rescue Squad, Inc. has purchased a new 2018 Ford E450 Horton Ambulance. The purchase of the new ambulance was made possible through the Squad’s own three-year fundraising effort without the need for financing nor funds from the Avalon municipal budget. The Avalon Rescue Squad is a 501c(3) provides emergency medical services through a partnership with the Borough of Avalon. The new ambulance includes the latest and most advanced safety features to protect patients and members in the event of an accident. The ambulance has the largest patient care area of any unit in southern New Jersey which affords sufficient room for extra caregivers and equipment during the most severe medical emergencies. “We appreciate the fundraising efforts conducted by the Avalon Rescue Squad and proudly welcome this new ambulance into Avalon’s fleet of emergency response vehicles”, said Avalon Mayor Martin Pagliughi. “And, we would like to thank the individuals who very generously donated funds to make the purchase of this ambulance a reality”. The new ambulance costs approximately $217,000 and will replace an ambulance that has been used by rescue personnel for the past 14 years. The Horton-specific features on the ambulance provide for a much smoother and quieter ride for patients; easy visibility of the unit by other motorists; and safety features that include airbags, seat belts, and progressive foam protection in the event of an accident. 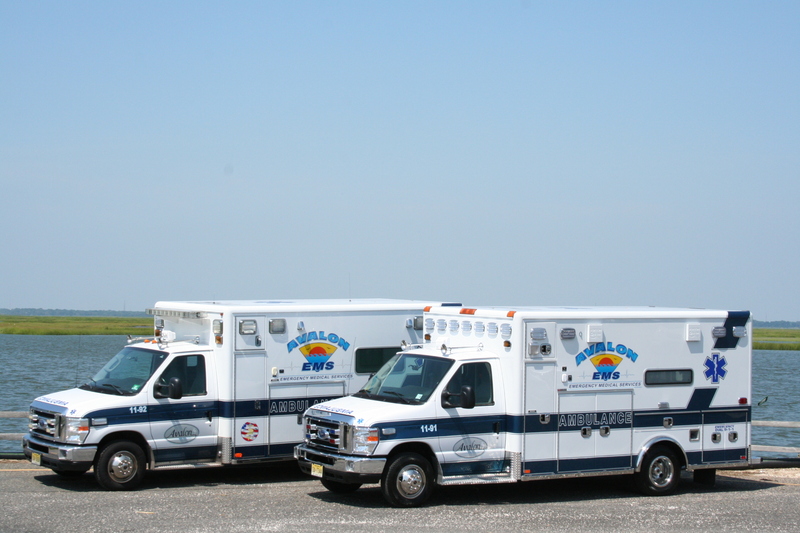 The Avalon Rescue Squad is an Emergency Medical Service provider licensed by the New Jersey Department of Health. The professional service is offered to individuals in Avalon around the clock throughout the year and uses the highest standards of training and state of the art equipment. The Squad is staffed by at least two certified Emergency Medical Technicians at all times. The primary responsibility of the duty crew is to respond to life-threatening emergencies within the jurisdiction of Avalon, and if requested, in neighboring municipalities. All ambulances and police vehicles in Avalon are equipped with Automatic External Defibrillators; additional units are also in locations of public assembly in the Borough. Avalon ambulances also carry a multitude of advanced equipment not found in other towns, including epinephrine auto-injectors, mechanical CPR devices, and continuous positive airway pressure (CPAP) masks, and non-invasive carbon monoxide meters. Donations provided to the Avalon Rescue Squad, Inc. are tax deductible.